How Far is ZED Collective? At BCIL Zed Collective we worked centrally around this and many other comfort factors that you and I seek in our own homes, but don't know how to create ourselves. How can we reduce our energy bills with no reduction in lighting comfort? How can we cool our homes better than ACs do? Set over 1.5 acres and more, BCIL Zed Collective offers mere 48 designer homes per acre. Check the industry norm: It is 65 - 90 homes an acre! , the enclave is designed to offer you the best in climatic and architecture. 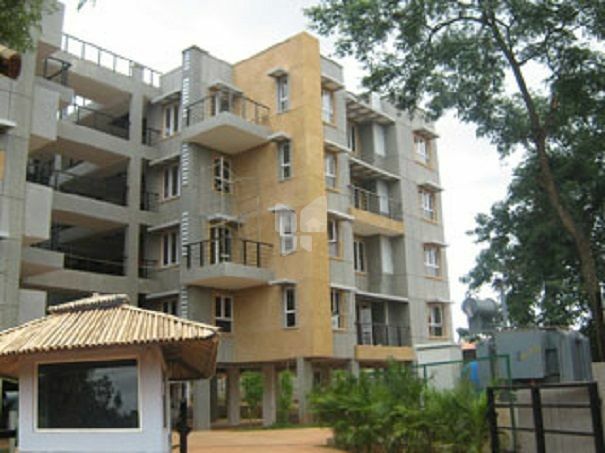 Apartments ranging from 1300 sq.ft. to 1400 sq.ft. built-up area with lots of green features. Located Just 7 min drive from Yelahanka Circle towards Doddaballapur road, just off upcoming Metro station, peripheral ring road running just 500 M away, and neighboring to a stud farm, you are surely going to enjoy the serenity as well as connectivity with out any interruption. Clean finished well-designed structure with sloping roofs and terraces. Finished walls made with engineered masonry blocks impregnated with fly ash. Surfaces with softened corners in internal rooms. Car Park, courts Well paved area using perforated cement Jalli blocks keeping in mind aesthetics of grass and hard surface, which lends to harmony at campus while protecting your car from rain and shine. Clean finishes that are in harmony with the outdoors, durable and easy on longterm maintenance finished with stampcrete or equivalent. built to last at least 20 years. The wood is green certified, and is forestresponsible. White or suitable marble that lends poise to this sacred space. made from vitrified tiles or equivalent. maintenance, pleasing to the eye, and smooth to bare feet. Railing to match. last at least 20 years. The wood is green certified, and is forest-responsible. Clean flooring that is easy to scrub, long-lasting, light in tone and airy colours. Care taken to see that the walls and the wet shower areas are water and moistureproof for the long term. Elegant flooring that is built to last and designed for the function. painting with soft and lighter colours. Easy on long-term maintenance. Internal plaster Clean-finished plaster for all rooms, for toilets and other rooms. We are ZED, the largest green residential developer and the indisputable leader in pioneering building technologies and management systems in India. Founded on strong beliefs and sincere love for Mother Nature, we design homes that offer you luxury that doesn’t cost the earth. ZED is tomorrow's thinking. The key to our success is rooted in being a value-driven, human organisation that dares to push the building industry to a state of higher evolution. ZED makes homes that don’t depend on the city for fresh water, managing waste and energy. ZED is the holy grail of green in India – with 33 awards from 10 countries, 3 continents over 9 years. ZED, as a group, goes beyond making homes – from providing solutions that inspire farmers, to products that make for game changing energy-saving in regular homes. We are Gandhian in our passion and pursuit. He said Aparigraha, or non-possession, had to be practiced by every employee, professional and businessperson. The creation of economic wealth is important, but the promoters of the business “should not take more than what is needed for a comfortable, but not extravagant, life”. At ZED, our purpose is to create social wealth with money being an instrument for bringing such change.